Lavish Collection Delivery Abington MA - The Hutcheon's Flower Co, Inc. The Hutcheon's Flower Co, Inc.
Sign up for an Account and Earn Rewards! Wow them with Lavish Collection flowers by The Hutcheon's Flower Co, Inc.! Including something for every occasion; with beautiful bouquets for love & romance, modern flowers, a wedding or for an anniversary, these stylish arrangements will truly impress the lucky recipient. When only the best will do, we have it covered with lush and exotic flowers. 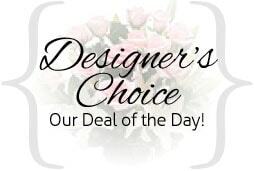 Luxurious bouquets from the Lavish Collection are available for same-day delivery in Abington, MA or nationwide. Hutcheon's Flowers is dedicated to providing fresh flowers and professionally created arrangements for residents of Abington, MA and surrounding areas including Weymouth and Brockton. If you're worried that your upcoming special event may be lacking a little something, bring it into full bloom by hiring our expert florist to design centerpieces, bouquets and o ther floral arrangements made with fresh, carefully selected flowers that meet our high standard of beauty. From joyous occasions to somber ones, the professionals at Hutcheon's Flowers can provide you with appropriately arranged flowers that bring a touch of elegance and beauty to any Weymouth or Brockton occasion. Whether you're searching for a florist talented at creating bouquets or boutonnieres for your upcoming wedding, homecoming, prom, standing funeral sprays or sympathy wreaths to convey your sympathy at a funeral, or even when you end up in the dog house, we can create a floral arrangement for you that's within your budget. If you like us, you're a firm believer in making flowers last as long as possible, you'll appreciate these display tips. Remember to choose a vase that does your flowers justice. If your flowers are long and tall, don't be afraid to display them in a small vase - simply snip those stems shorter.